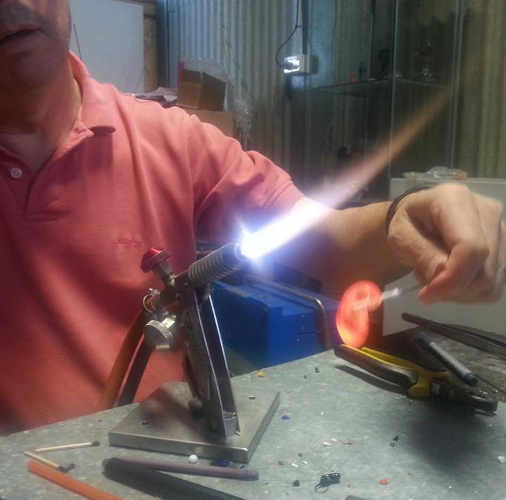 Meet The Makers Tuesday, Wednesday and Thursdays during April 10.30am to 1.30pm, excluding Easter. Four artists from River Studios are showcasing work in ceramics, textiles and glass. 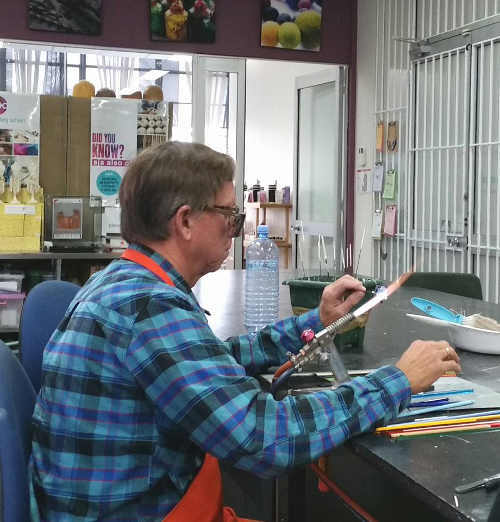 Learn to make lampwork glass beads -glass beadmaking classes run in West Melbourne. 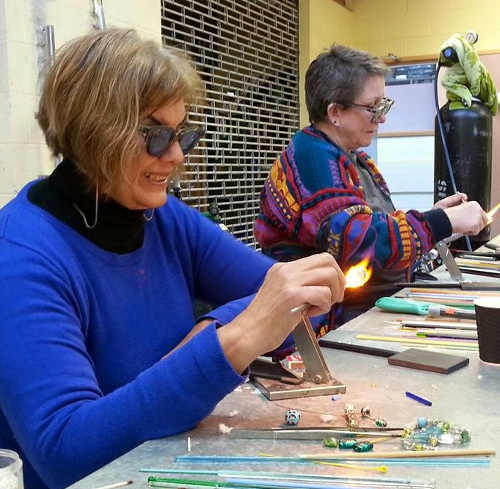 Pauline Delaney is a glass artist who works in designing and making lampwork glass beads and lampwork glass jewellery for galleries. 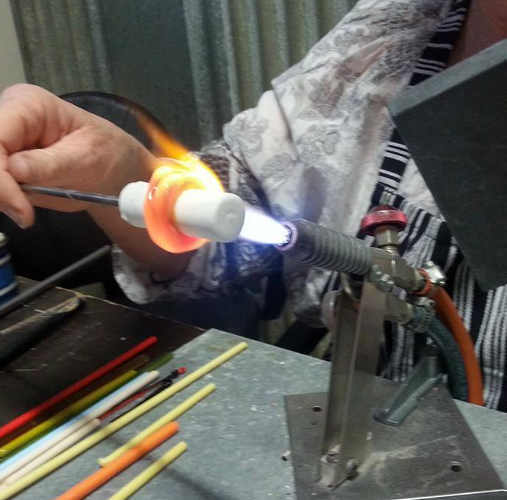 She also produces individual focal glass beads and glass lampwork bead sets for clients and jewellery makers. 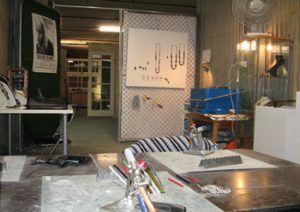 Pauline’s work is represented in many private, corporate and public collections including The Corning Museum of Glass, New York, USA. 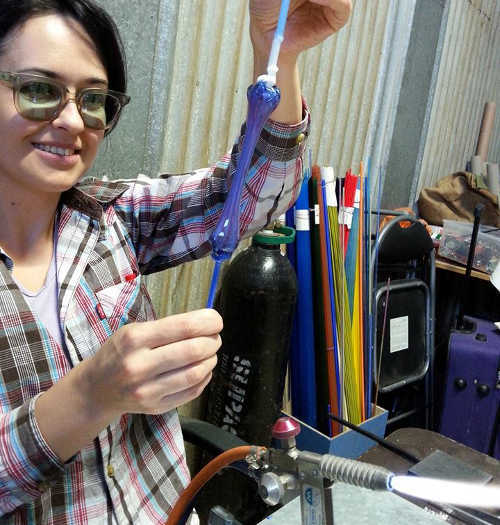 Pauline also runs lampwork glass bead making classes in Melbourne, Victoria teaching up to three students how to make lampwork glass beads on a minor burner in a two day class. Book now for Pauline to come to you and teach you and your friends. Workshops can be arranged interstate. 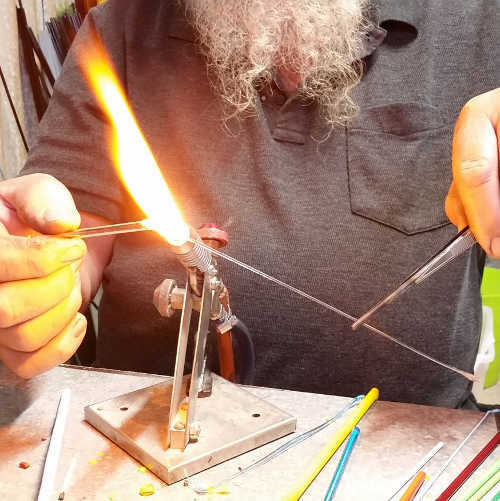 Lampwork glass beginners beadmaking and intermediate classes run monthly in West Melbourne 2019. Classes are available on week days or weekends. Only two to three students per class unless you request a group. All materials supplied. 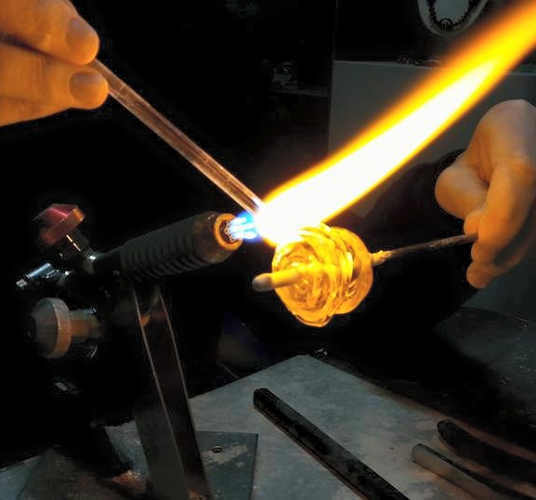 Why not give a gift voucher of a lampwork beginners class for a birthday present? 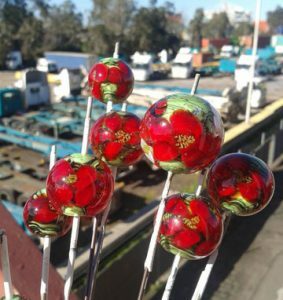 View my glass lampwork beads in my studio. Just ring to make a time. My glass beads are also available from my website. New beads listed weekly. 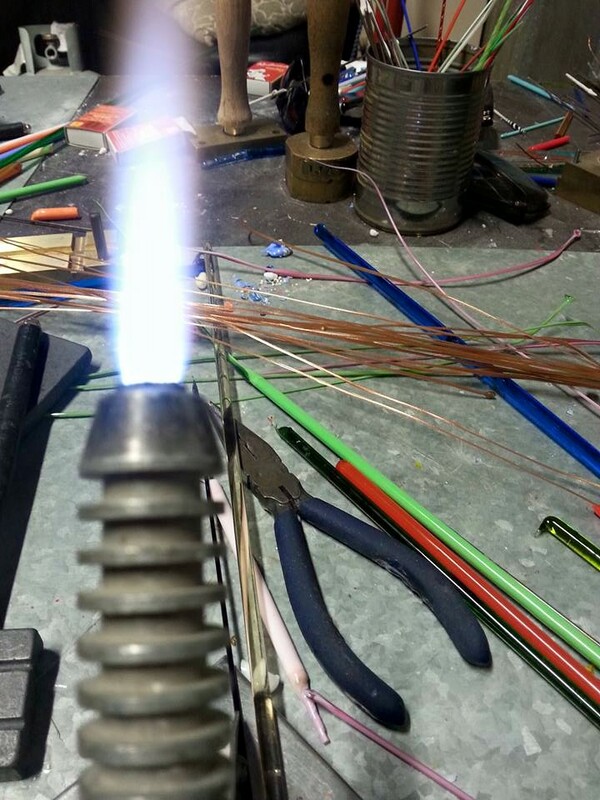 Like me on Facebook and see what I am working on at the moment. Select from a variety of styles or commission work to be made for that special design.